When it comes to Ohio hazardous waste disposal SafeAir Contractors is a name that you can trust. As a name that you can trust, we want to make sure that you know a few important things about disposing of your hazardous waste products. 1. 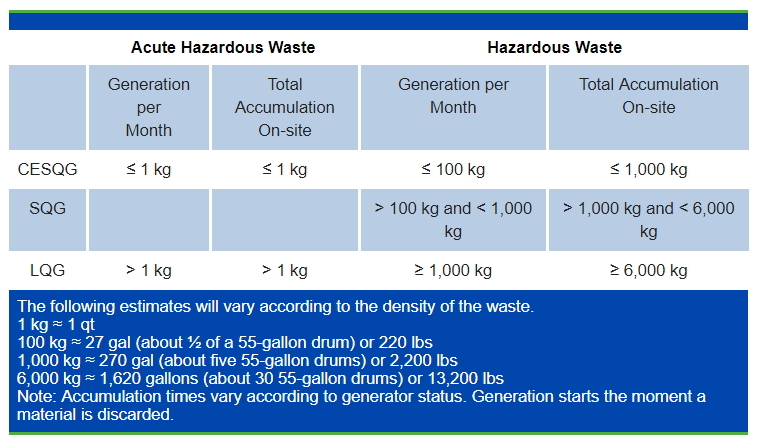 There Are Multiple Classifications of Hazardous Waste. There are various categories that are used to classify hazardous waste according to its origin, toxicity, composition, and the way that it breaks down over time. The different codes determine how and where different items should be disposed of. The categories or “codes” noted above are set up to keep our environment and organisms living in the environment safe from contamination. Improperly disposing of hazardous waste items can cause them to leach toxins into the soil, into the water supply, and result in humans and animals both consuming tainted food and water. 2. It Isn’t Just Businesses That Produce Hazardous Waste. When the term “hazardous waste” comes up most people think of toxic waste produced by major corporations, but did you know that households produce hazardous waste products too? Of course, that isn’t to say that you need to call in professionals for the disposal of your cooking oil, but it does mean that you need to dispose of them properly. If you aren’t sure how to dispose of them properly take a look at the Solid Waste Authority’s Website here. 3. Small Businesses Need Hazardous Waste Disposal Services Too! SQG are small quantity generators, LQG are large quantity generators, and CESQG are conditionally exempt small quantity generators. Each of these types of hazardous waste generating factions have specific protocols that they must follow; you can find these requirements listed on the Ohio EPA website here. If you find all of this a little too confusing, don’t worry, give us a call at SafeAir Contractors and leave your hazardous waste removal services to us. Many companies, as well as households, try to skirt around the rules when it comes to hazardous waste disposal. Sometimes it’s laziness – “I don’t feel like calling for a hazardous waste removal company to come out”, sometimes it’s cost – “I can’t afford to hire a hazardous waste removal company to come out”, and sometimes it’s just the result of not caring – “It’s ONLY a few cans of paint thinner, what’s the harm?” But the truth is that whatever the reason, you stand to incur some very hefty fines, risk a criminal record, and risk jail time if you opt to ignore hazardous waste removal regulations. Curious to find out just what the consequences of illegally dumping hazardous waste are? Take a look at the Ohio EPA website’s section on hazardous waste disposal here. Even if you decide to hire a professional Ohio hazardous waste removal company to take care of your hazardous waste, it’s important to ensure that they are properly licensed to do the job! If you are unsure whether a company is properly licensed to do the job the best way to find out is to contact your state branch of the EPA and ask for recommendations and verify the legitimacy of any company you are considering. You can also ask the company in question for their licensing information. Hazardous waste disposal is sometimes quite expensive and that means that it’s often tempting to cut corners to save a few bucks. 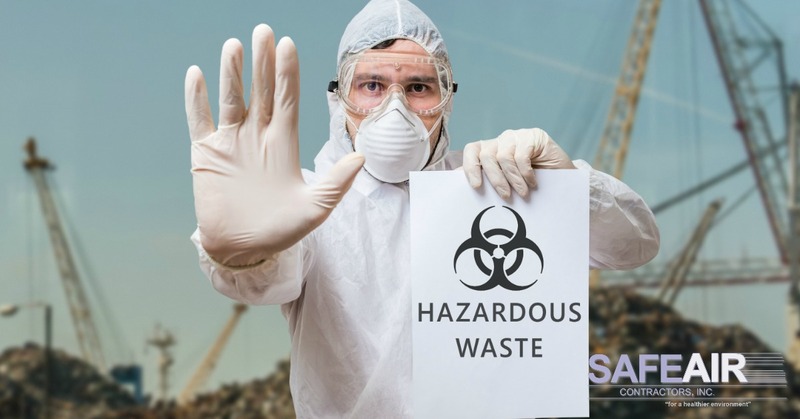 As a company, however, it’s more important to act responsibly than to save a few dollars because in the long-run irresponsible hazardous waste disposal can result in the complete downfall of your business! Your customers are much more likely to abandon your business or brand for being irresponsible than they are for you charging a few dollars more for your products or services. Are You Looking For Ohio Hazardous Waste Disposal Services? If you are in need of hazardous waste disposal services in Ohio? Pick up the phone and give SafeAir Contractors a call at 440-639-1191 and we can help you take care of all of your hazardous waste disposal needs! 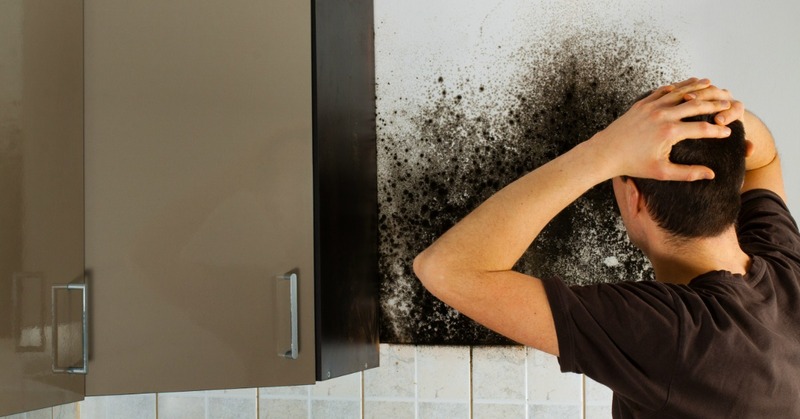 We have over 25 years of experience with environmental remediation services and our technicians are all EPA/A.H.E.R.A. /OSHA/R.C.R.A. trained and licensed so you never have to worry about the job not being done right. We take the safety and health of our community and community residents seriously which is what makes us the best Ohio remediation company!